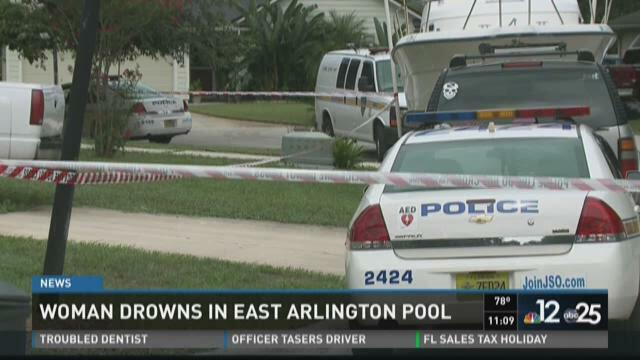 JACKSONVILLE, Fla. — The Jacksonville Sheriff's Office is currently investigating the discovery of a woman who was found at the bottom of a pool in East Arlington on Thursday afternoon. JSO received a call around 3:12 p.m. after the female victim was found at the bottom of a pool behind a house located at 12500 Chase Creek Lane, according to police. The victim was reportedly cleaning the pool when she somehow fell in and drowned, according to JSO. A group of teenagers found the woman at the bottom of the pool, according to police. JSO is currently considering it an "accidental drowning," but will continue to investigate the incident, according to authorities. JACKSONVILLE, Fla. -- Foul play is suspected in the death of a middle-aged man whose body was found in his Arlington apartment Tuesday afternoon, authorities said. According to the Jacksonville Sheriff's Office, the victim was found inside a residence at the Les Chateux Apartments, located in the 800 block of Bert Road, about 12:30 p.m. That's after his relatives reported him missing, Sgt. Craig Waldrup said. The man was identified by JSO on Friday morning as 63-year-old Roosevelt Fluellen, 63, whose last known address was in St. Augustine. The vehicle belonging to the unidentified victim, a 2010 silver Nissan Cube. JSO reports the missing car was found around 7:30 on Tuesday evening. At this time, investigators have not yet determined a suspect or persons of interest, Sgt. Waldrup said. JACKSONVILLE, Fla. -- Firefighters put out a fire engulfing a home in Jacksonville's Arlington neighborhood Thursday night, authorities say. Several Jacksonville Fire Rescue engines and Jacksonville Sheriff's Office patrol cars were spotted at the scene, located near Anchor Lane and St. Paul Avenue, before 11 p.m.
JACKSONVILLE, Fla. — It's an afternoon witnesses say will be etched in their memories for quite some time. 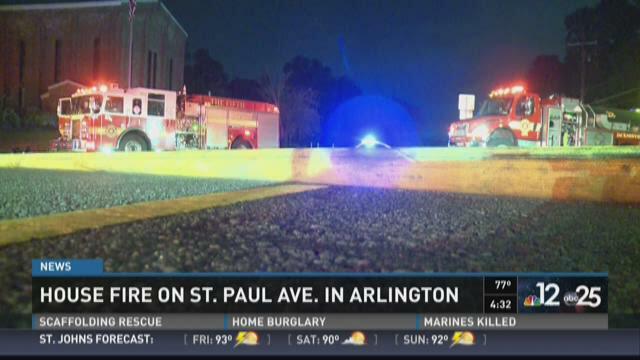 A four-year-old boy was hit by a car after running out of Victory Park in Arlington along Ft. Caroline Road. 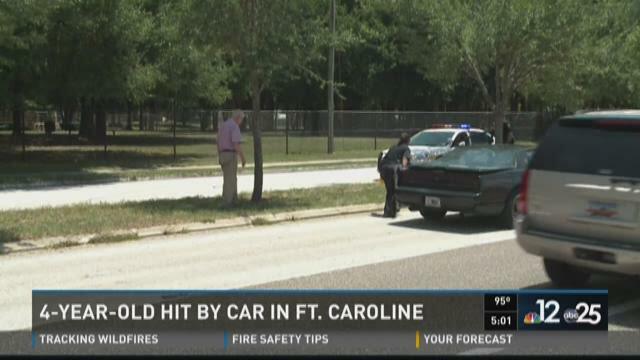 He was taken to the hospital with life-threatening injuries. Jacksonville Sheriff's deputies say the boys head hit the ground. "That boy was in the park one second and the next second he's fighting for his life," said Dennis Robinson who hosts baseball camps nearby. He was among a handful of people who ran to the roadway attempting to help the four-year-old and his mother after the boy had been hit by a green Pontiac Firebird. JACKSONVILLE, Fla. — One person was killed and another hospitalized following a shooting on the 6100 block of Dawnridge Road South just before midnight on Saturday. Family and friends in the area confirmed that the teen killed was a student and football player for First Coast High School. The party was also, according to family and friends, an after-prom party. Police said that homicide detectives were on scene interviewing numerous witnesses and that the initial investigation showed a house party was taking place before the shots were fired. However, they said it was too early to determine what led to the shooting. Detectives were expected to be on scene for a lengthy period of time and the intersection of Dawnridge Road South and University Club Boulevard was closed into the early hours of Sunday morning. JACKSONVILLE, Fla. -- The Olive Garden restaurant that was destroyed in a fire in January 2014 across from the Regency Square Mall on Atlantic Blvd. is reopening Monday. A ceremonial ribbon cutting will be held on April 20 at 10:30 a.m. at the restaurant. 15 employees who worked at the restaurant before it was destroyed by the fire will return. Olive Garden officials say the new restaurant will employ 150 people and can accommodate more than 240 diners at a time. Here is a look at the fire from last year. 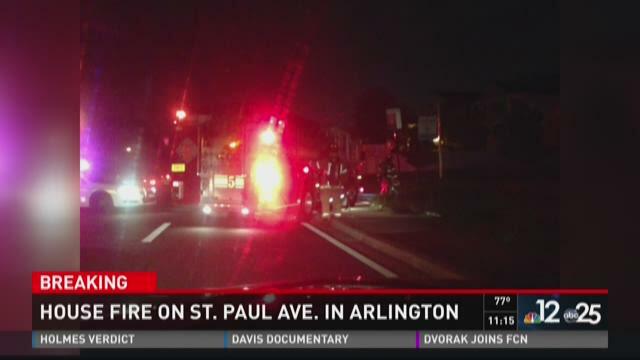 JACKSONVILLE, Fla. -- Jacksonville firefighters made a grisly discovery after fighting a house fire in the city's Arlington neighborhood Tuesday evening, authorities said. 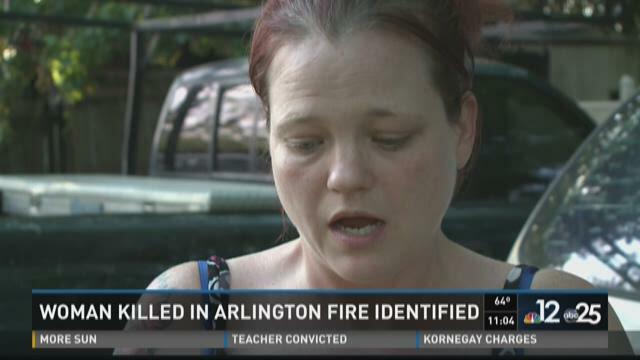 After putting out the massive flames engulfing a home on Lee Road near Patterson Circle, firefighters found the body of a woman, identified Wednesday as 49-year-old Joan M. Brodrique, inside. Spokesperson for the State Fire Marshal, told First Coast News there is no preliminary evidence on the cause or origin of the fire yet. It is too early to say if the fire is suspicious, she said.